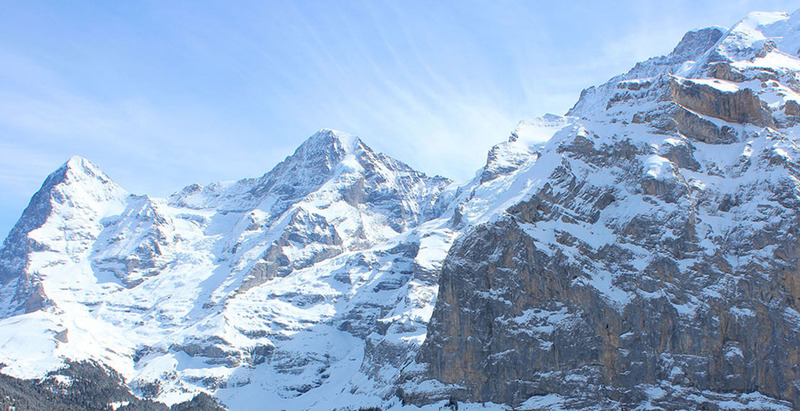 Mürren is a typical Swiss village perched atop a 600 m (2,000 foot) vertical cliff, nestled into the midst of the famed Bernese Oberland in the Swiss Alps, 40 minutes away from lovely Interlaken. It is accessible by aerial tram rising above Lauterbrunnen to Grütschalp, where a train then takes you along a five mile walking paradise to Mürren. A mere 170 m (560 ft.) walk and a 10 m (33 ft.) stairway elevates you to our new chalets with their unobstructed views across the scenic Lauterbrunnen Valley, with its 72 waterfalls, to the Eiger North Wall and Jungfrau Massif. 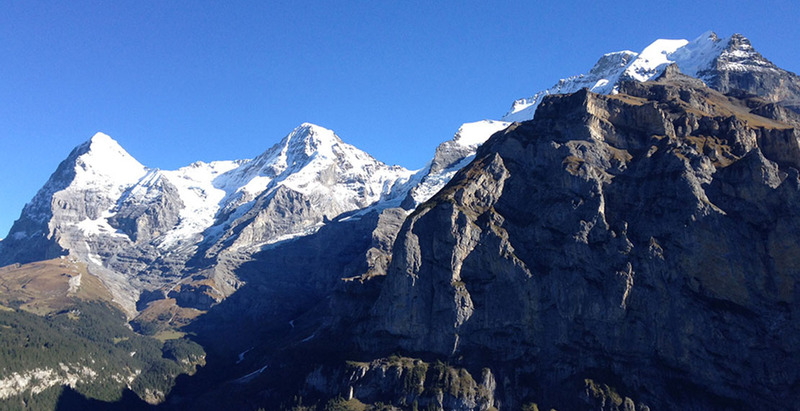 Mürren is world renowned for scenic hiking, skiing, hang gliding and B.A.S.E. jumping! Our chalets are a 10 minute walk to the village center with its food stores, shops and wonderful restaurants. Diverse opportunities for hiking and snow sports are at your door step. Mürren is well served by the Jungfrau Railways and lifts and the Schilthorn uphill facilities topping out at 2710 m (8,891 ft.) Piz Gloria. At the nearby huge Sports Center, indoor swimming and winter ice skating are free to our guests. We look forward to hosting you! – Feel free to contact us: Nancy +1 801 466 8076, or Beat von Allmen +1 801 486 2662, or via booking@chaletsnowbird.com. You may also find us at www.airbnb.com. © , Chalet Snowbird. All Rights Reserved.